Dressed: The History of Fashion, a new podcast on the history of fashion, launched last week by HowStuffWorks and explores the cultural and social history of clothing and the ‘who, what, when and why, we wear’. This podcast promises to deliver a series of episodes that ‘investigates the origin stories of famous names you already know’ with conversations with fashion makers and experts in the field of fashion history. Excerpts from the podcast’s teaser suggests that the history of legendary designers such as Louis Vuitton, Coco Chanel, Yves Saint Laurent and Cristóbal Balenciaga will be a focus of subsequent episodes, along with discussions on topics such as fashion exhibitions, the symbolism of colour and men’s heels. Fashion historians April Calahan and Cassidy Zachary are the podcast's charming and charismatic hosts. Calahan is a Special Collections Associate, Curator of Manuscript Collections and Instructor in the History of Art department at the Fashion Institute of Technology. Zachary is a fashion historian, author and costume designer, known by some readers to be the founder of The Art of Dress (@the_art_of_dress). The first episode of the podcast explores the “Founding Father of Haute Couture: Charles Frederick Worth”. The hour-long episode commences with the birth of haute couture, delving into the life and legacy of the British born couturier who dominated the Parisian fashion scene in the second half of the nineteenth century. For students and scholars of fashion history, the story of the House of Worth will be familiar. The episode traces Worth’s career from his humble beginnings as a cashier for a mercer, to the success of Worth & Boberg and finally the dissolution of the House of Worth. Zachary and Calahan place the designer’s innovations within the historical and cultural context of the age, making reference to the royal patronage of the court of Napoleon III of France and the creation of the Chambres Syndicale De La Haute Couture. Some lesser known biographical information about Worth’s childhood and interesting antidotes are intriguing, but the majority of the podcast summarized what many Costume Society members may already know. By far, the most interesting part of this podcast was a conversation with Hylan Booker, an African-American designer who worked at the House of Worth in the late 1960s. At this point, the conversation shifts from mid-nineteenth century couture in Paris to the British fashion scene and the influence of youth culture in 1960s London. Booker shares his personal experiences as a designer and contemporary of Mary Quant and Ossie Clark. For those more familiar with the history of fashion, the second half of the podcast offers new insights into the revitalization of the House of Worth from 1968. Overall, the first episode of this podcast is a detailed and well-presented historical account of a fashion designer that has had such a large impact on the way fashion works today. Zachary and Calahan take an introductory approach to fashion history, defining terms such as “mercer”, “ready-to-wear” and “crinoline” for listeners. For anyone with a new found interest in the history of fashion, this podcast would be a great place to start! I’m interested to see if this podcast will delve deeper into the history of fashion by presenting new research and critical theory in later episodes. Despite the scripted dialogue and a few sponsored advertisements this is an interesting and entertaining podcast for newcomers and fashion aficionados. 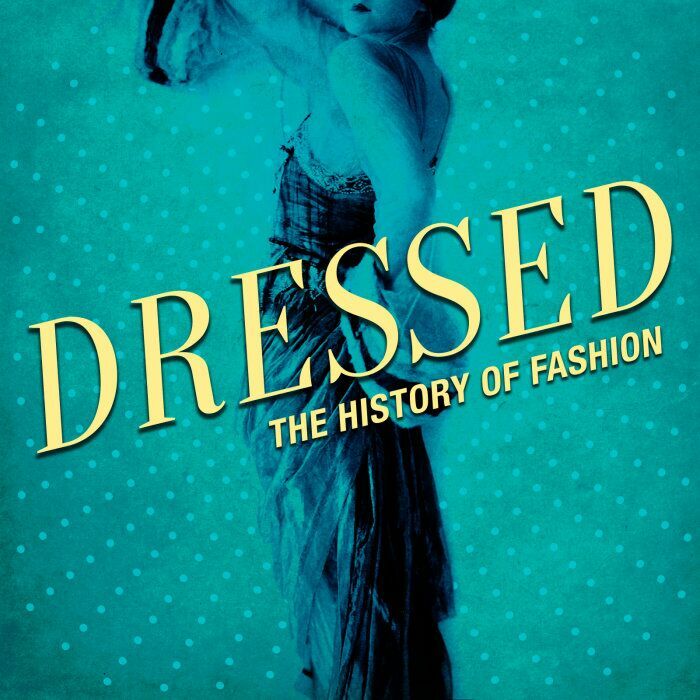 Although there may not be any new information for fashion scholars, this podcast is definitely worth a listen and I look forward to future episodes of Dressed: The History of Fashion.